Discussion in 'Fan Sites & Community Events' started by Christy, May 29, 2018. 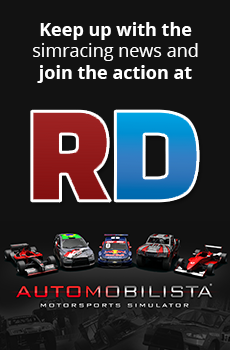 I became a fan of your Automobilista simulation. But in France very few forums promote this great game. For a month I worked to create a blog-forum on this simulation in order to raise awareness of it. I opened a youtube channel or I will create tutorial videos. I opened a group on steam! In short I work for you because my passion is overflowing, this despite my being a woman and it is not very common in this male environment. In this world of simulation pilots, there are almost no beginners or they are hiding! and it is for this reason that I created my blog-forum in the hope of meeting other beginners, to exchange with them and to help each other. This by creating an F1 career, and we are 4 beginners to make the same career. and it's really interesting to compare our progress. But it would be much better, if we had with us a simulation pilot with a very good level so that he could advise us. So if there is one of you, a passionate and interested person to help us it would be really majestic. Here is the Forum blog address where you can help us.